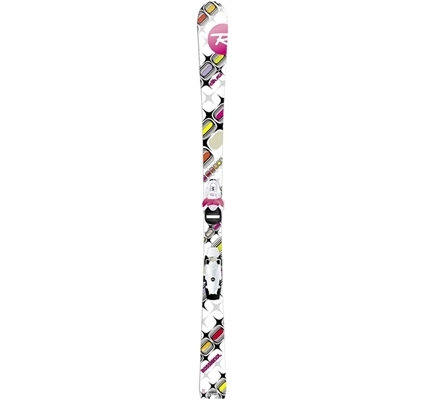 The DIVA is a junior girl's ski based on the junior multi-event race ski. Featuring ROSSITOP cap construction for increased rebound and durability, and a progressive, size-relative flex, the Diva is a great introductory ski that can be used anywhere on the mountain. The Diva is designed to help junior girls develop solid basics that will take them on to the next level.